One thing common about the success stories of the accomplished and famous is that they all have their challenges. Their strengths were first tested to a great extent before they emerged as heroes. FHM.com.ph interviewed five tough millennials who can inspire you to fight the good fight. Their experiences will show you that it’s fine to go through the feels of your setback, but what’s important is you work hard and jump back up harder. Learn from their experiences and see that it is the hopeful and persevering who always finish strong. 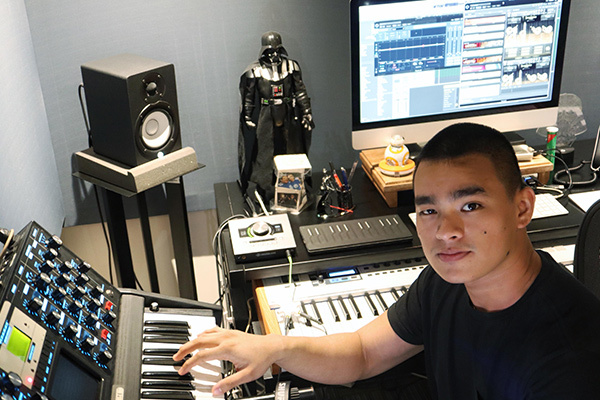 Thyro has been taking OPM to a higher note with his partner, Yumi Lacsamana. The songwriting duo has been in demand since 2013, when they took over our airwaves with their Philpop winning entry, “Dati.” His journey didn’t start upbeat, but it’s one that placed his name up in lights with the rest of their duo’s hits. What made you pursue being a singer-songwriter? I can say that I did not choose this profession—this profession chose me. My family is musically inclined and that made music part of my everyday life. Back in college, I was just that guy singing around UST while studying Advertising Arts. I was underway to being an advertising practitioner when I got engrossed with recording songs. This caused me to fail in one subject, thus delaying my graduation. After college, I started writing songs again, making beats, and arranging music. And before I knew it, here I am—a singer-songwriter. How was your experience starting this journey? Being a music producer requires not just a lot of talent, but also much money to buy gears with. Back in 2011, I had no stable job and was about to come up with an album. I didn’t know how to break into the scene, especially because I lacked funds. There came a point when I had to juggle being a full-time video editor and an all-around studio staff while doing music. All this for just a minimum wage. I needed to make ends meet. This went on for nearly three years. How did you bounce back from this setback? I adjusted my focus and decided to specialize in one thing. I was a jack of all trades, but I had a knack for songwriting and production. I also knew that I could make a mark doing just that. So with a hundred percent of my focus, I worked hard and honed the skills that would make me excel in this field. Then came the songwriting competitions that gave Yumi and I a kickstart in our income and career. It opened a lot of doors for us. We started getting projects, as artists and labels began recognizing us as song makers. How far have you gone since then? Yumi and I have earned several awards in the field of songwriting. The sweetest ones are the two PhilPop Grand Prize trophies we won for the songs “Dati” and “Triangulo.” It really put us on the map. It also led top-notch artists asking us to create songs that eventually became their hits. Topping our list are “Kilometro” sang by Sarah Geronimo and “Bahala Na” and “No Erase” performed by James Reid and Nadine Lustre. What have you learned from all these experiences? The hard worker will land more jobs than the talented one, but the smart worker will beat the hard worker any day. All my experiences trained me to work smart and stay more focused on what needs to be done, I also learned to be effective and efficient. It is by then that your talent will come through. 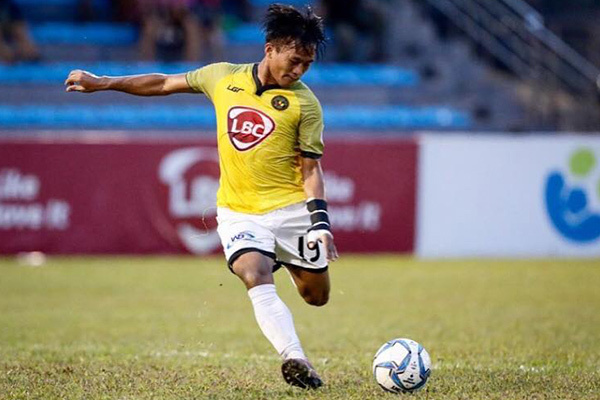 Eric’s humble beginnings in Compostela Valley never blocked him from kicking into the Philippine sports industry victorious. Standing out in the box as Kaya F.C. Iloilo’s defender, he proves to us that fulfilling your dreams is all about playing hard relentlessly. What inspired you to pursue football as a profession? I grew up playing and loving football. I was in Grade 2 when my older cousin introduced me to it. He was already part of our school’s team then. Sa provincial public schools kasi, mayroong open field that we use for playing football. Nagkaroon ng tournament noon at doon ako nakapaglaro kasama ng iba pa naming mga pinsan. From that moment forward, football has been my passion. My journey of being a professional football player had its ups and downs. It all started way back before college. I was playing for our school’s team when a few of the couches there told me that I could finally go to Manila through a football scholarship in Far Eastern University. As a young boy who grew up in Compostela Valley, this news was music to my ears. I had all my hopes up. I worked and waited for almost a year until finally, I had the guts to ask my coaches about it. They said matagal nang delay at siguro wala na ‘yon. I was sad for having been given false hopes. What did you do to bounce back from that setback? It pushed me to play better and to be the best version of myself. I was eventually chosen to try out for the FEU scholarship and granted a slot in the football team. Then in college, I was invited by Kaya FC’s manager to be part of the league. He watched me play and after the game, asked me the question that eventually led me to where I am now. 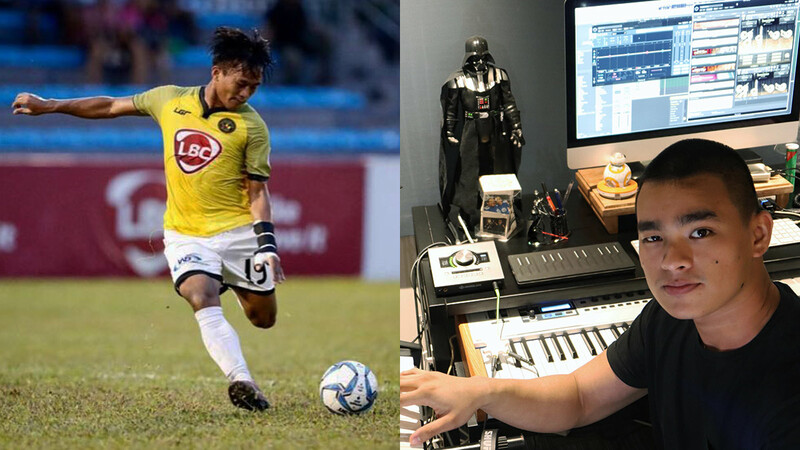 Besides fulfilling my dream of becoming a professional football player, natupad rin ang pangarap ko na makapunta sa ibang bansa—at dahil rin sa football iyon. We went to Korea for a training camp. Masaya ako na for the first time, naranasan ko ang snow. Everything that happened to me trained me to be a better person. It taught me to be prepared against challenges and when faced by it, I should take it head-on. If you have a dream, do your best in reaching it. Lahat ng bagay, basta para sa pangarap, ikabubuti ng pagkatao at buhay mo. Vision and passion are what fueled JB in building Docdef Productions. He uses challenges and hearsays as pillars in staging the Philippine youth’s most sought-after music fest every summer, Tagaytay Art Beat. What inspired you to build Docdef? My friend and I loved watching bar gigs. We suddenly came up with the idea of organizing our own. So we went ahead, booked a venue, and sent out invites to friends and officemates. The turnout was good, that people started asking us when our next gig will be. 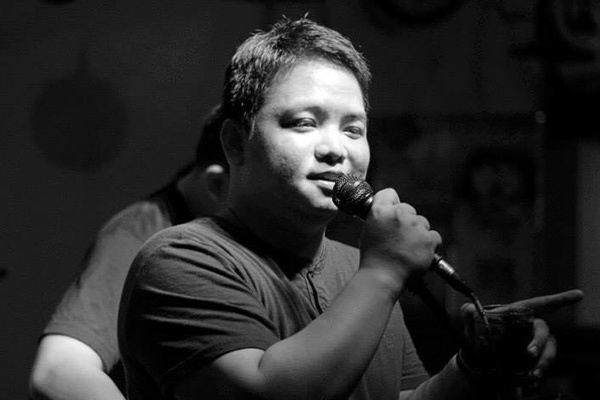 On our third gig, Monty Macalino of Mayonnaise asked me to collaborate with him on their upcoming gigs. Eventually, Docdef evolved from just a weekend hobby to a platform dedicated to promoting the talent of local independent musicians. How was your experience during the early stages of your journey? I didn’t have experience with music nor organizing a ticketed event. I also had a day job at a financial institution. To get a hang of how things should work, I worked hard and did extensive research. I attended gigs alone to absorb everything. I had nothing to offer but myself, so I poured in my time, effort and dedication. Yet despite all the effort and pleasure we’ve been bringing to the community, there are just some people who wouldn’t be supportive of your success. And it could be a hard punch to the gut because in my case, it's my own father who disapproves of what I do. He expects me to do something more practical and productive. He sees Docdef as a waste of time. My relationship with the people closest to me is something I consider irreplaceable. Although it may be hard for us to stay afloat on the same boat, for me, they would always come first. I incessantly do my best to understand them and make sacrifices. I’ve learned to listen and to approach others with more openness and humility. I also make sure to consult my team and my talents because my opinion is not the only one that matters for our success. How far have you gone despite everything? One notable milestone was when people started reaching out to Docdef instead of the other way around. Back in 2015, Ning Orlina of Museo Orlina proposed a collaboration which would later become Tagaytay Art Beat, an Art and Music Exhibition featuring young and upcoming artists. It served as an opportunity for Docdef to land gigs outside the metro and granted more exposure for our artists. Success doesn’t come easy. You will always encounter obstacles. The moment you stop encountering them is the moment you have stopped trying. I’m grateful for all the opportunities that come my way because it just proves that I am still growing. We just have to keep a positive attitude and face them head-on. Franz has always been passionate about product design and the arts. Though rejection may have made a crack on his career, it also remodeled him to succeed in his own high-end furniture business, Atelier Franz. What made you pursue product design? Design is my DNA. I took up architecture in college, thinking that this is the only option I have in pursuing a creative career. Then I learned about product design. So alongside my major in architecture, I attended summer courses in Pratt Institute in New York that focused on product design and furnishings. This eventually led me to where I am now. I started my career as an art handler in NYC. I learned a lot of things from making products and my experiences there. One of these experiences was when I accidentally dropped a priceless artifact and lost my job to it. It was rough for me. I wanted to start with a clear state of mind. I moved to the Philippines two weeks after that incident. How did you bounce back from that setback? I didn’t want to remain in the trenches and I knew that I had a choice on how to move forward from rock-bottom. 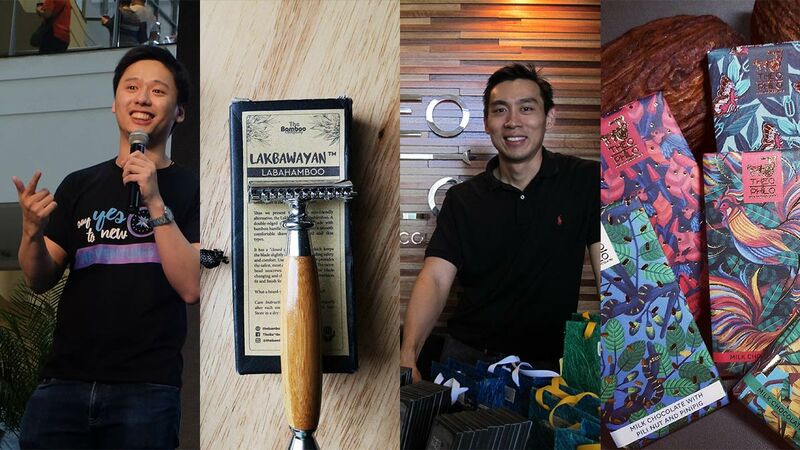 The incident made me embark on a six-year adventure of pursuing design in the Philippines. And right now, I find no greater joy than to finish designs of new products. 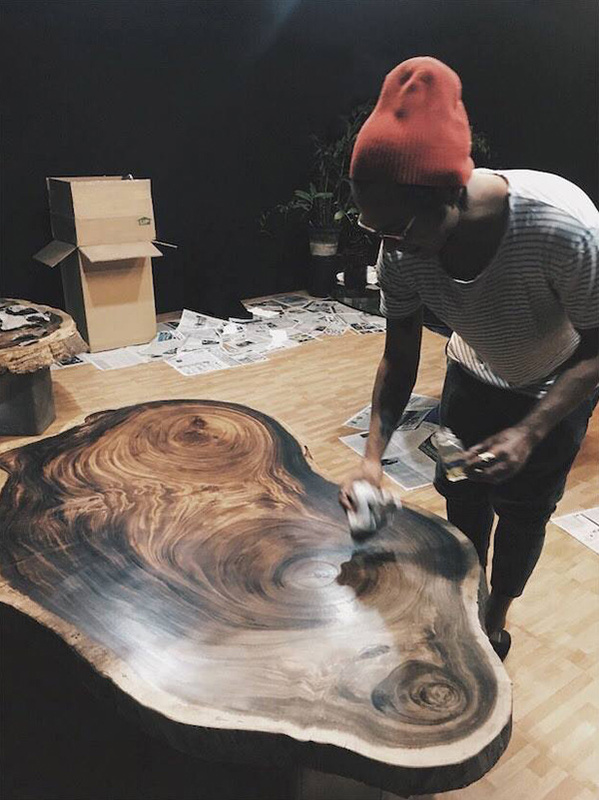 I found purpose in doing research, kicking off meetings, brainstorming, and getting my hands dirty for my high-end furniture business, Atelier Franz. All the experiences I have been through led me to building Atelier Franz. It took me years of knowledge and I’ll forever be grateful for the support that my family and friends gave me all throughout. I know that there’s still a lot to know and improve on. And I’d be glad to go through this continuing learning journey, knowing that this is the only way to succeed. Most of the powerful lessons in life can only be attained through experience. Many things will be out of our control, but we still have a choice on the way we see it and react to it. Do not let circumstances define who you are because after all, life always gives us a chance to reset. Atty. 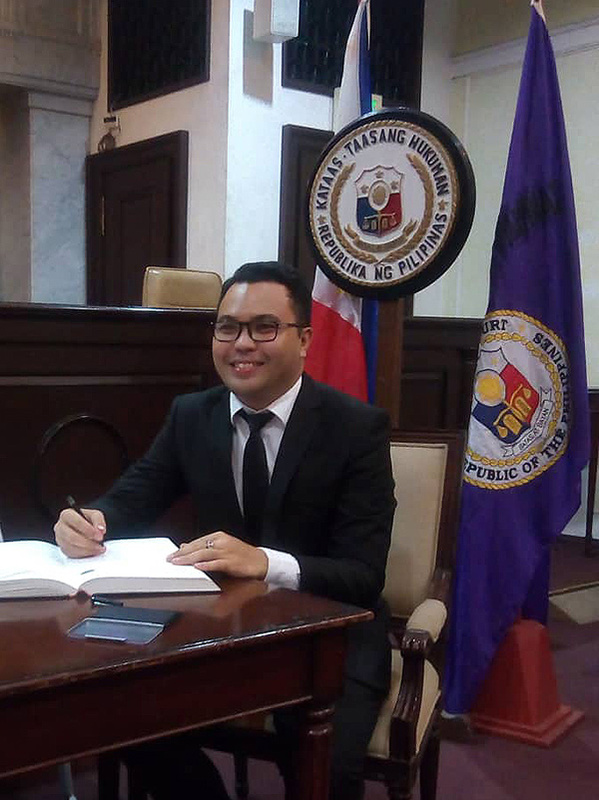 Joem Palconit considered himself “young, dumb, and broke” prior to taking his oath at the Supreme Court. By standing firm and wise over life’s up and downs, he now fights for the defenseless as one of the few young lawyers in the Philippines. Everything started when I was in college. I was a working student back then, making rounds around the metro as a field worker paid on minimum wage. I had to endure the scorching heat of the sun for my daily commute. After making the rounds, I have to rush to law school for my night classes. I learned to read my books during my commute and break time. Then, my girlfriend (now my wife) got pregnant. I was 21 years old, fresh grad, and a minimum wage earner. I was young, dumb and broke. I begged for money from friends because my wife was about to give birth already. The last straw was when our baby daughter died and my wife was at the brink of death when she delivered our baby. I worked my way through it and stood grounded on my goals. I looked for another job and took the law bar exam. I committed to take it only once because we can’t afford a re-take. My mom and my wife were even preparing to borrow money from others, in case I wouldn’t pass. Fortunately, I passed the bar and I am forever grateful for it. I have satisfied my clients because I was able to settle and win their cases. Everything I have been through also helped me appreciate what I have now, including the daily pressure of being a young lawyer. I always look back and find solace in having reached this far. Because of all my experiences, I have developed a mindset that the problems I’m going through right now shall be my sweetest victories tomorrow. Life will only unfold its meaning if you yourself will find the good purpose of every situation you are in. You have the power to make decisions in life and doing so will define your character and self-worth. Learn how to take responsibility for these decisions, too, because it is only then that you’ll find true happiness in your journey.